Amy Macdonald performed close to one hundred gigs last year, along with a host of promotional appearances. 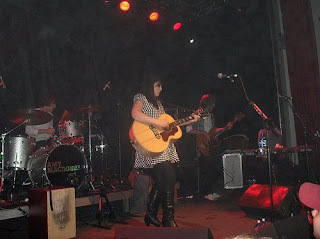 This is Amy in concert on the 29th October 2008, live at Debaser Medis, Stockholm, Sweden. Source: Audience recording, front area, close to centre. Sound Quality: For audience - excellent! stereo (mixed as a labor of love - just listen) low audience noise - highly listenable. Genre: Indie Pop - acoustic plus band. Set: Full live performance with two tracks missing in action, lets hope they make it home. Links: Official site HERE, MySpace music site HERE.